We have jobs for evening shift to offer for the summer period. 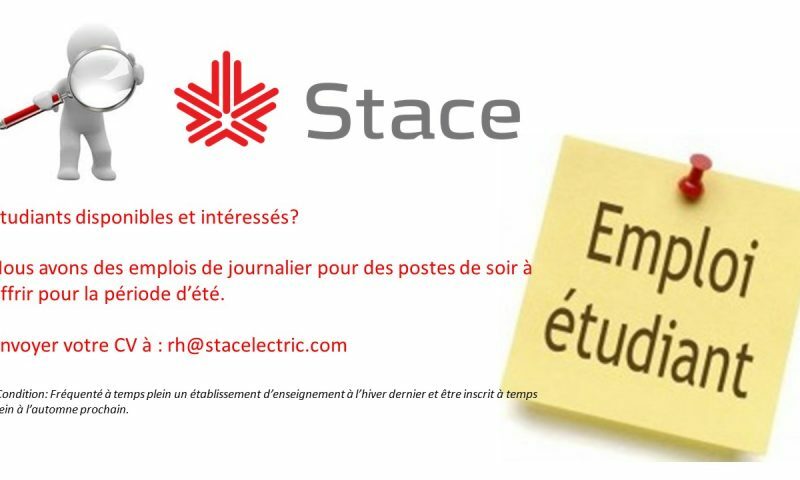 Saint-Augustin Canada Electric Inc. (STACE) is a former General Electric (GE) business unit. The plant, located in St-Augustin, near Quebec City, designs and manufactures large medium voltage equipment for the power generation market since 1977. As a world-class supplier, its fully integrated plant has been very active on the international markets. Over the last 35 years, STACE has been a major supplier of all type of bus ducts and auxiliary equipment to the worldwide utility market. STACE is committed to integrity and to promote the use of renewable energy.